Exit the M5 at junction 11a onto the A417/9. 4 miles past the Cirencester Exit, take the next exit and turn onto the B4696 to South Cerney. 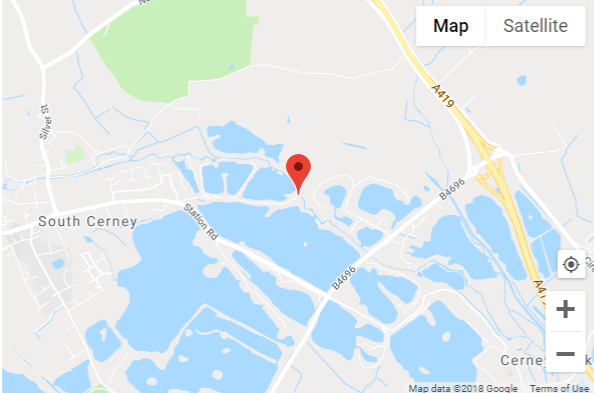 From the M4 leave at junction 15 turn onto the A419 towards Cirencester and then take the Exit onto the B4696 to South Cerney in about 15 minutes. Continue for 1/4 mile, then turn right into Station Road, still heading towards South Cerney. Go approxiamately 1/2 mile until you hit the 30 mile hour limit signs/South Cerney Sign, just beyond this there is a turning on the right towards some houses. Take this turning and then turn immediately right again into Wildmoorway Lane. Go along this lane to the end and you will find us on the left.